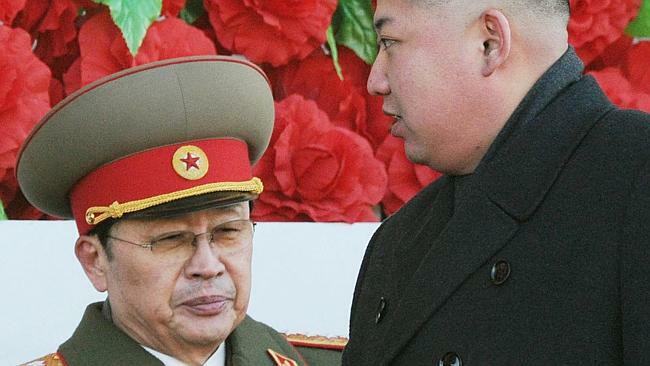 North Korea’s provocative nuclear rhetoric has gotten so bad even the Kremlin has come out against the hermit kingdom, warning continued nuclear threats could justify an invasion. Sony will show The Interview in theaters on Christmas Day after all, suggesting that the entire farce could have been one huge cynical marketing campaign to promote the movie, bolstering the contention that the hack was an inside job. 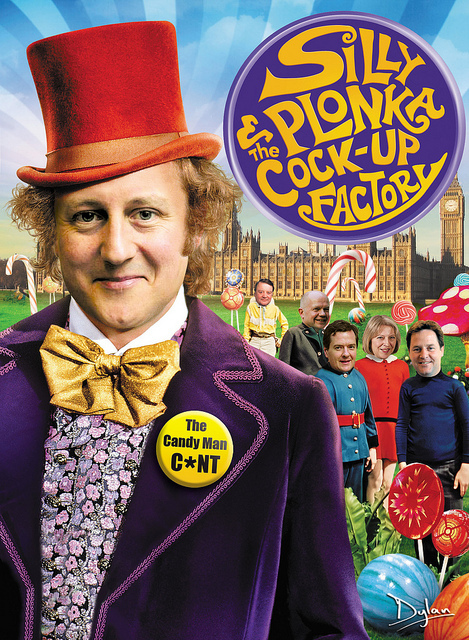 What a horrible ugly man he is, how on this earth do we let mentally ill people run whole countries, oh, hang on …. sorry this is normal. I’m wonewee – His dad wasn’t well either. Where am i going to take the kids this year for their vacation? 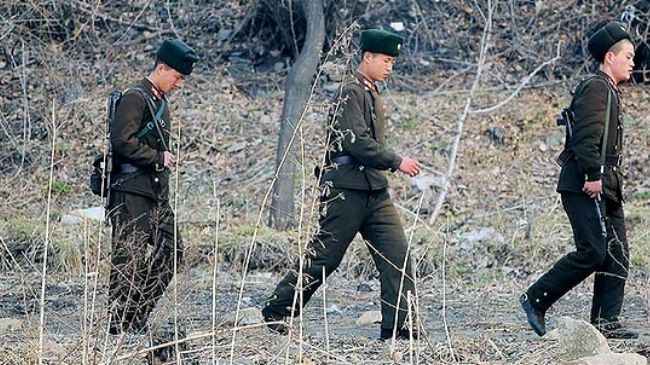 This file photo shows North Korean soldiers patrolling along the bank of the Yalu River in the North Korean town of Sinuiju across from the Chinese city of Dandong. 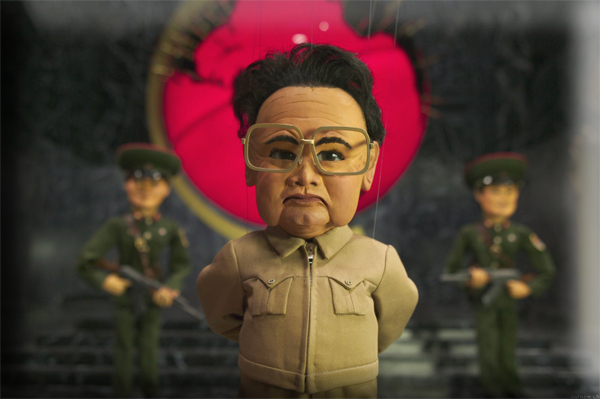 This Kim Yung Un guy is really asking for it isn’t he and thank god the bigger nations arn’t taking the bait …… yet. What if Kim Yung Un actually believes DPRK is bigger than all the super powers, if that’s what your told from birth that’s what your going to believe. Whatever, a precarious situation and a nightmare we’ve all been dreading, a nutter at the controls of nuclear ICBM’s and it’s here, well it had to happen didn’t it. Rumours that he’s going to test one of his nukes are substantiated by different reliable world intels which perhaps could get out of hand politically, with America already threatening some heavy duty sanctions if it goes ahead. “Any future nuclear test or missile launch would be in direct violation of UN Security Council resolutions, and would lead to further pressure and isolation,” State Department spokesman Patrick Ventrell said at a news briefing. “So, we would strongly discourage against that course of action,” he added, refusing to say what actions might be taken by Washington in the event of a fresh nuke test or missile launch by the DPRK. However the Prime Minister’s claim has been ridiculed by weapons experts who say that the North Koreans possess no such capability.